Reflections: I feel that I am lonely and need a friend , how to fill this loneliness? I feel that I am lonely and need a friend , how to fill this loneliness? First of all we have to realize that what is it that we do to the company, and what is it that company does to us. What is the purpose of this person’s presence in my life? What is the reason? Why has this person come in my life? Because I was feeling lonely. So loneliness is important. The person is really not important. Do you get this? The person is just a means to some end. What is the end? Getting rid of loneliness. Now, will I give freedom to this person? I use this person. When I use somebody, then can I give him freedom? (Holding a mobile phone kept on the table) I use this, right? At this moment, if it wants to go and take a walk, will I allow it? Why will I not allow it? No, because I am using it. Because I am dependent on it. 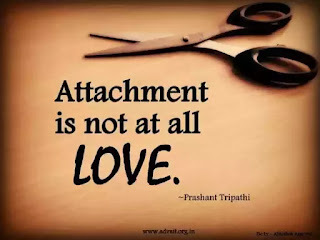 When you are dependent on somebody, then the relationship can never have love. Because in dependence, in an environment of dependence, there can be no freedom.